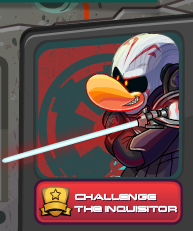 The Star Wars takeover is currently up and running on Club Penguin. I am here to clear up some confusion about the lightsabers. Below are some questions being asked to me in comments on this website so I will try by best to answer them. Question #1: How did people get lightsabers so early? I was trying to figure this out and I think there is more than one way people are getting lightsabers. 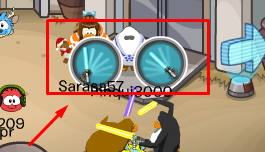 Last year, Club Penguin had a Star Wars party and light sabers were available at that time. Maybe people are using lightsabers from last year? Also, remember that you must be a member if you want to get a lightsaber. Question #2: Okay. How do I get the lightsabers from this years party now? To get a lightsaber in this years party you must complete all of the missions available (the ones from Hera, Ezra, Sabine etc..). 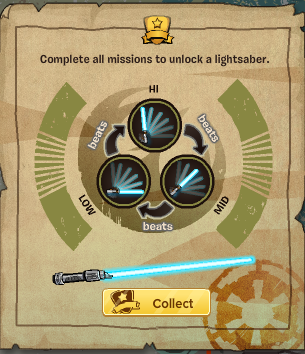 Once you complete all of the missions you will be able to unlock this blue lightsaber. Once you have this blue lightsaber, click the letter 'D' on your keyboard to look for a partner to battle. A blue icon should pop up above your penguins head and people can click on it to fight you. The more you fight the more items you'll be able to collect. Below are the items available to collect. You can also join in lightsaber battles without pressing 'D' on your keyboard. Just wait until you see another penguin looking for a partner and click the blue icon above their head. If you want that special red inquisitor lightsaber then you're going to have to battle The Inquisitor. You can unlock the full inquisitor outfit. Special thanks to @GraphicBoyCP on Twitter for helping me figure this whole thing out.